What to declare when arriving in New Zealand. Once you start exploring New Zealand, you’ll see how this is one of the most beautiful countries in the world. There’s still vast areas of wilderness and native wildlife living here. Much of the plants and wildlife would be worse off or completely wiped out if there wasn’t a strict biosecurity system in place to stop people bringing in foreign pests and diseases. 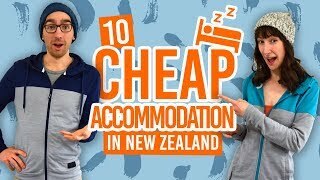 For this reason, you will need to declare a few specific items when arriving in New Zealand. With this arrival advice guide, you’ll find out what to declare when arriving in New Zealand. Biosecurity in New Zealand is governed by the Ministry for Primary Industries (MPI). This quick guide will go through the procedures enforced by MPI that you will encounter when arriving in New Zealand. For more steps in the arrival process, see Arrival Advice: Passport Control and Immigration. What to expect from biosecurity when you land in New Zealand. On your flight to New Zealand, the inflight crew will ask you to fill out the Passenger Arrival Card. This is a double sided, narrow card asking for personal details, your intentions in New Zealand, but most importantly, asking you to declare any restricted or prohibited items you are bringing into the country. Answer the questions honestly. If you make a false declaration, you will be fined NZ$400. Also, if you’re not sure whether to declare something or not, declare it! It’s better to be safe than sorry. Get extra advice on how to fill out the Passenger Arrival Card here. Live animals. (If you’re desperate to bring a pet, see our Bringing Pets into New Zealand). Animal products like shells, feathers and hides. Water products like fish, shellfish, diving and fishing equipment. Used equipment (see section below). Used equipment is included the list of things to declare because equipment might carry soil holding diseases and pests. MPI suggests that you “check, clean, dry” equipment before packing it. Also, pack the equipment somewhere easy to access in case it does need inspecting. Hiking and sportswear that has been outside urban areas. Hunting equipment including clothes and backpacks. Equipment used with animals, including farm footwear, vet supplies, horse riding gear and shearing equipment. Any gear, including clothes, footwear and tools, used in any farming and forestry industry. For more tips on what to pack for New Zealand, see The Ultimate Packing List for an Extended Trip in New Zealand. Although it is not illegal to bring the risk items listed above into New Zealand, you have to declare them. When you go through Passport Control in a New Zealand airport, you will be asked if you have anything to declare. Be honest! If you panic, declare everything! As you move into the Customs and Biosecurity area of the airport, after picking up your bags at Baggage Claim, you will hand over your Passenger Arrival Card and asked again if you have anything to declare. As you move through Biosecurity, there may be detector dogs sniffing out risk goods. You’re bags will likely go through an x-ray machine. Inspectors might also look in your bags. If a risk item is found in your bag, you may have to surrender the item. To keep the item, the item can be sent off for treatment by other companies. Then you can collect your item at a later date. You may have to pay a fee for this treatment. If the item is not safe, it will be destroyed. Some items may incur a tax, which you will have to pay. As mentioned above, if you fail to declare a risk item, you will receive an instant NZ$400 fine. More about restrictions on entering and importing to New Zealand. Just to cover all your basis, make sure to read our other guides.